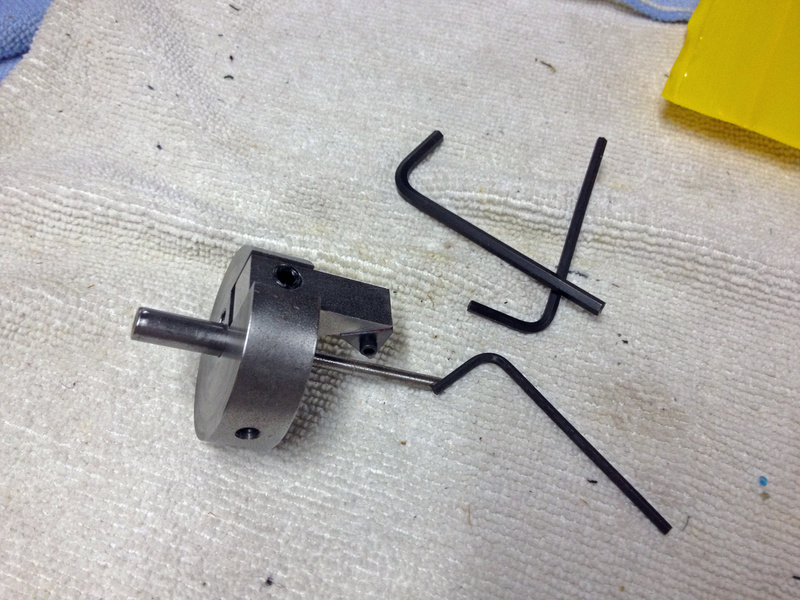 Several weeks ago I obtained a tenon turning tool from Pipe Maker’s Emporium (PME). I have been planning on writing my “review” of this tool since I mentioned it in the Big-Ben post but have put it off due to time and wanting to get better acquainted with the tool. Well, I think I am ready so here we go! The tool can be purchased from PME here and is, essentially, the same tool that PIMO sells and Steve has and uses. There is at least two differences that I can see: An extra adjusting screw )which is rarely used) and the price of the PME tool is about $9 less. (Having bought from both sources, I have a personal preference for PME: their S/H costs are a bit less and speed and service are better, again in my opinion; I have no affiliation with either company other than being a customer.) Both tools are used in the same way and they both have similar limitations on size. They also both lack precision measurements/adjustment mark, requiring one to go slowly and check often the tenon size so as to not over-turn it. I found the tool relatively easy to use overall. I experimented on a few old stems before re-stemming Big-Ben and have since turned several other stems for different stummels and corn cob pipes. I have had mostly good results but there have been a few massive failures, too. As Steve has pointed out, the best use of this tool is gotten by turning the tenon very close to size and then finishing the job by hand sanding. 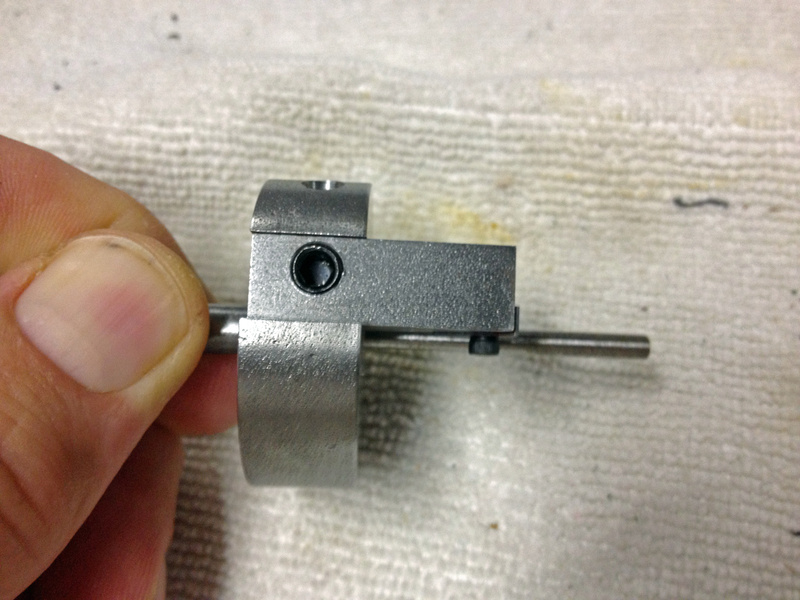 I have also learned that the tool not only has no markings to gauge the amount of material to be removed by a single adjustment (you have to look at the cutter head relative to the tenon) but one cannot gauge the amount consistently by using a “formula” such as 1/4 turn of the adjusting screw has been giving me .5′ decrease in diameter so each 1/4 turn will continue to do so – I have over-turned two stems using that type of “formula”! PME doesn’t sell the right size drill bit for the guide pin (a size #30 or .128″) so you will have to obtain it from another source (PIMO does sell it for $2.50) or make due with another size. At first I used an 1/8″ bit on the vulcanite stems which, while tight, worked okay. 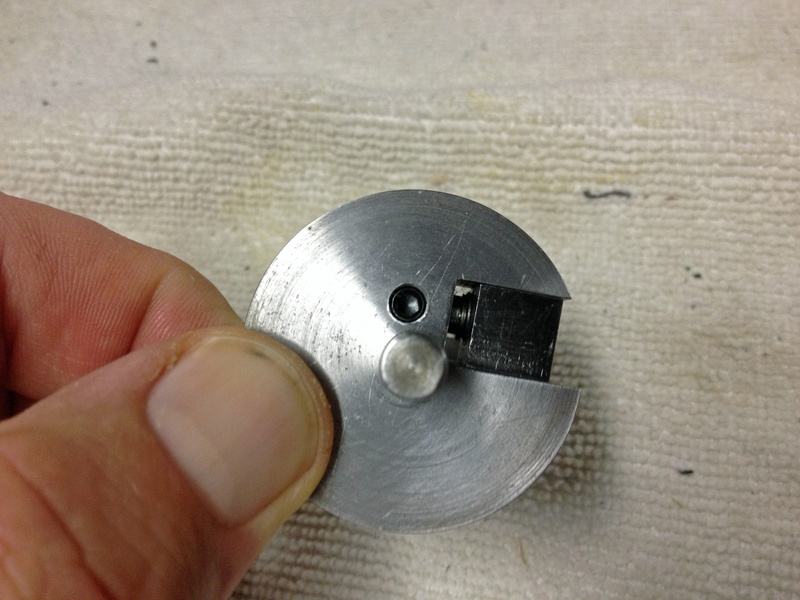 However, I had to move up to a 5/32″ bit for Lucite/acrylic and be careful to not get it out of round. I have since ordered the .128″ bit from PIMO and am happy with that. The extra set screw on the PME tool is really not used except for turning multiple tenons of the same style to the same size: For instance if you needed to slightly turn several tenons for corn cob pipes you would use it. This second locking screw just really sets the cutter head to zero movement but the main locking screw is the one that is generally used since you will mostly be taking more and more material off of a tenon. I find that using the tool at different speeds helps to get a nice, smooth tenon. I like to start out fairly slow and make my first pass, then increase the speed on subsequent passes. The final passes I will be at full speed and will slowly rotate the stem as I make the pass up then back down the tenon. Generally, this gives me a nice smooth tenon, without a lot of turning marks/lines. As I mentioned above, the adjustments are not always equal so one has to watch carefully how much the cutter head advances with each movement of the adjusting screw. And in order to get a good, even result it is very important to lock the locking screw with each adjustment. I have found that my digital micrometer (bought very cheaply from Harbour Freight) is a good help in getting the size of the tenon down to where it needs to be. But due to the lack of real precision with the tool, I don’t think one can rely solely on the micrometer; when it is getting close I begin checking the tenon to mortise fit after every pass. My analysis, then, would be something like this: If you wish to re-stem pipes you have to have one of these tools. I think that either the PME or PIMO tool would work as well as the other and which one you should purchase is simply a matter of preference or economics; the PME is cheaper but if you are ordering from one company or the other buying it with your order will save you on S/H costs. My personal recommendation would be (if you don’t already have some stems to experiment with) buy the tool from PME and order a dozen or two of whatever Carolyn has on sale that week to practice on (usually there are 2-3 styles of vulcanite stems on special for $4-$5) and maybe a couple of closeout acrylic ones, too, to get a feel for the difference (which is big!) in the two materials. The learning curve isn’t huge but it is there. But, if you are like me, learning a new skill to add to your arsenal of restoring these wonderful old pieces is a lot if fun and a big part of the draw of the hobby. So what are you waiting for? Place your order and step into the next phase of the art of restoration. 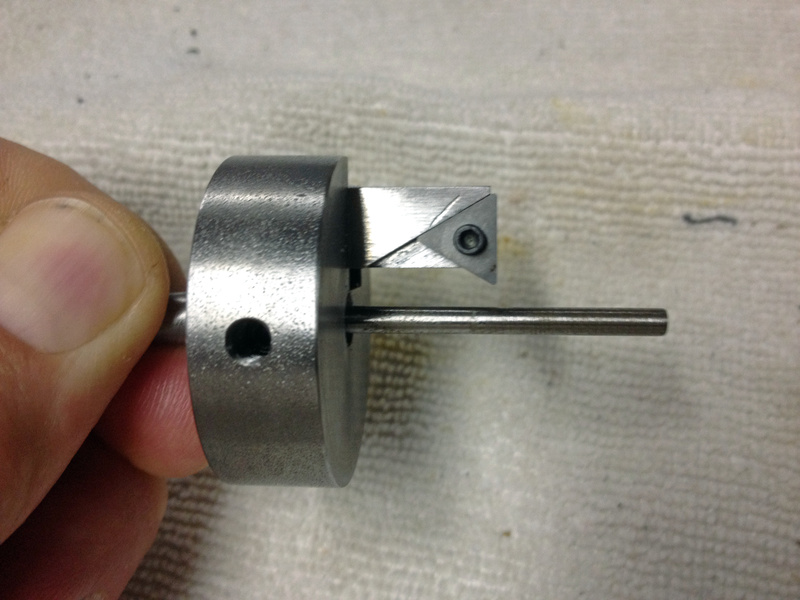 This entry was posted in Pipe Refurbishing Essays and tagged New Tenon, Pipe Makers Emporium Tenon turning tool, PME and PIMO Tenon turning tools, PME tenon tool, stem work, tenon repairs, tenon tools, tenon turning tools, tool review, turning a tenon, turning the tenon on September 12, 2013 by Greg. I have always wondered how to replace screw mount tenons without drilling out the mortise. I have done that before and it works well but I wanted to try to create a new screw mount stem using the existing tenon. I have learned from repairing overturned stems that you can heat the tenon and adjust its fit so I figured heating it and removing it would work much the same. 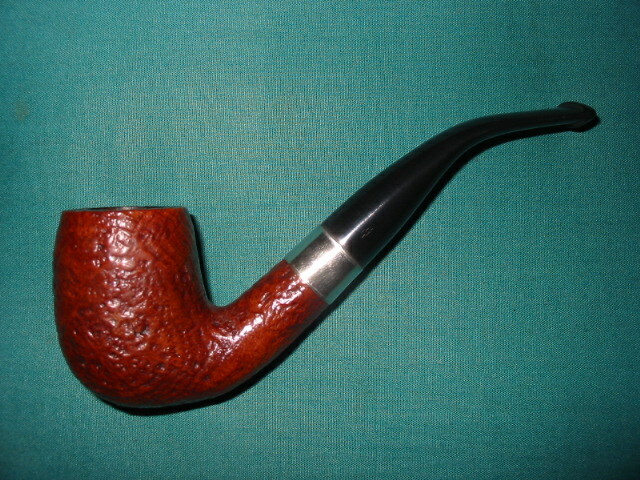 So for the subject of the experiment I decided to tackle refurbishing an old Whitehall pipe I had here. 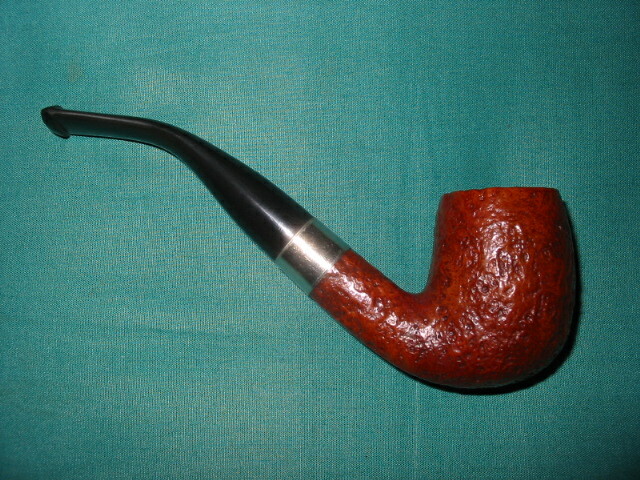 The Whitehall had a screw mount stem with a stinger attachment. The stinger was removable leaving about a half inch of tenon that I could work with. The stem had a huge hole on the underside of the stem near the button and was not a candidate for a stem patch. It would work perfect for the plan. 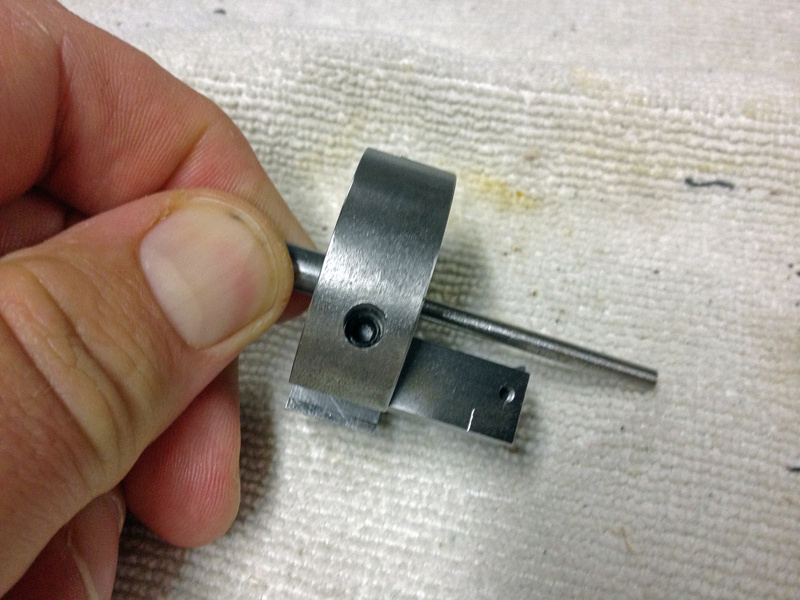 I heated the metal tenon with my heat gun until I could loosen it from the stem. I used a pair of needle nose pliers after wrapping the tenon with a cotton cloth to protect the threads. With a minimal effort of wiggling the tenon it came out very easily. Once it was removed I cleaned it thoroughly with pipe cleaners, alcohol and steel wool. I then matched the length of the existing tenonless stem with my stem blanks until I had one that was roughly the same length and thickness. I used my Dremel to cut off the precast tenon until it was close to the flat surface of the stem. I then used the flat board with sandpaper attached (like I do when topping a bowl) to sand the surface flush. Care must be exercised to keep the stem vertical or the surface will quickly get an angle. I smooth that surface with wet dry sandpaper 40 and 600 grit and finished it with the micromesh pads. Once completed smoothing the end of the stem I used a series of drill bits to work my way up to 1/4 inch diameter hole that the tenon insert required. I have learned the hard way that to start with the size I want can often cause the stem to break in my hands. So because of that I progress through the series of bits until it is the correct size. Before gluing the insert in place I screwed it into the shank and put the stem on so that it was correctly aligned. I did not want to have an overturned or under-turned stem when I was finished. I marked the insert with a black marker so that I would know which side was the top and then unscrewed it from the shank. I coated the insert end with some epoxy (like I do when inserting Delrin tenons in to the stem) and pressure fit it into the stem with the mark on the top side of the fitting. It was a perfect fit. The superglue dries quickly so I checked the fit on the stem again to make sure it still aligned. It did!! I used my Dremel to shape the diameter of the stem until it was a close fit and then finished the fit with sand papers and micromesh. When I had it smooth and shiny I buffed it with Tripoli, White Diamond and finally several coats of carnauba wax. 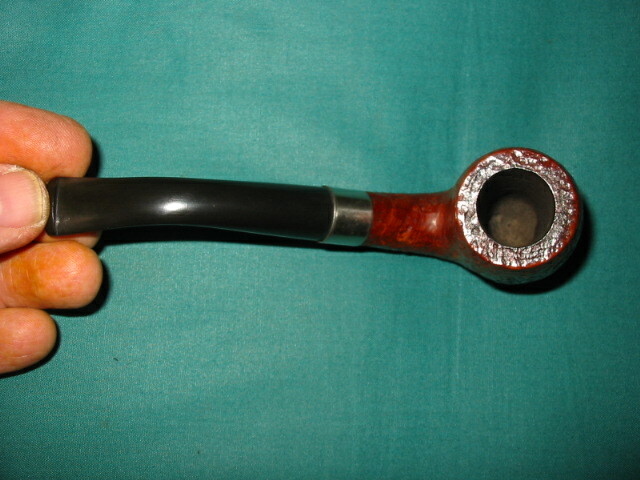 I then used my heat gun to bend the stem to the right angle for this bent pipe. I cooled it under cold water and then polished and buffed it again. The bowl had been cleaned and scrubbed to remove the grime and build-up of the years with Murphy’s Oil Soap and a soft bristle tooth brush. Once it was clean I gave a light coat of medium brown stain and then waxed it with Halcyon II wax. This entry was posted in Pipe Refurbishing Essays and tagged bending a vulcanite stem with a heat gun, fitting a stem, Metal tenons, replacing metal tenons on a new stem, sanding a stem, screw mount tenons, shaping a stem, stem work, tenon repairs, turning a tenon for a metal tenon on June 20, 2012 by rebornpipes.